We offer a full range of solutions ranging from advanced machines to fully automated production lines for the oil and gas industry. Our offer includes turnkey solutions for turning couplings and pipes according to international standards, such as PREMIUM, API and GOST for the machining of high-pressure valves, ball valves and valve seat ring. We have solid experience in the most advanced manufacturing processes and in the development of specific equipment adapted to the oil and gas industry parts including: lathes, circular saws, band saws, grinding machines and, milling and boring machines. We have advanced technological solutions for machining high value-added components that integrate specific tools and heads for the oil and gas sector, and provide maximum efficiency for machining multiple operations of large parts. Our solutions incorporate different technologies and provide a high level of automation, monitoring and other features of the field of digital manufacturing. Our lines are able to work the most demanding materials and tight tolerances required by the oil and gas sector; all operations are performed fully automatic and only require programming and machine maintenance works from operators. We are very impressed with this new DANOBAT machine. It is fare more accurate and much faster than our previous system, and has created huge cost savings. It has also been responsible of relieving bottlecknes in production, causing work to flow more smoothly through the workshop. 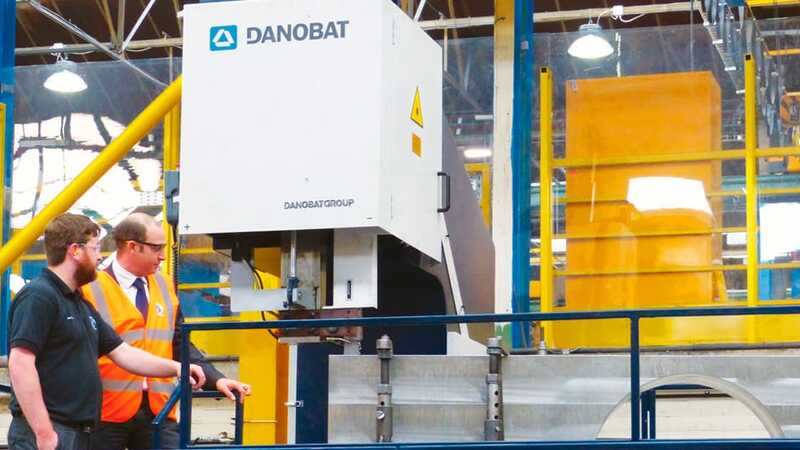 DANOBAT has accompanied us in every step in this project, offering an excellent service and full support.